Features real fabric. 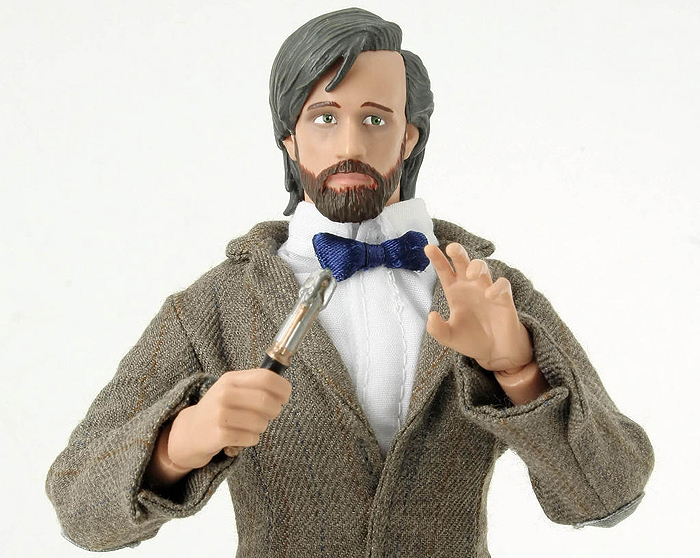 Includes sonic screwdriver accessory. 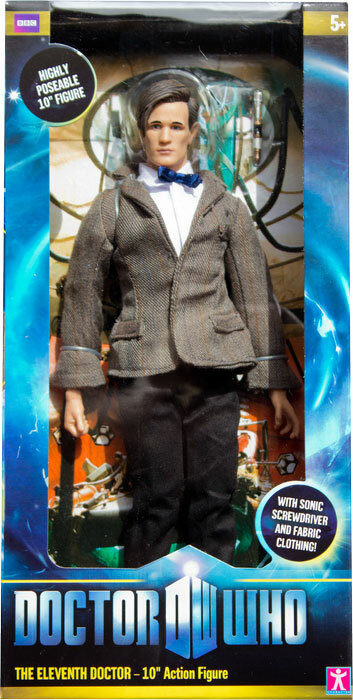 The Eleventh Doctor 10 Inch Figure normally retails at £24.99. 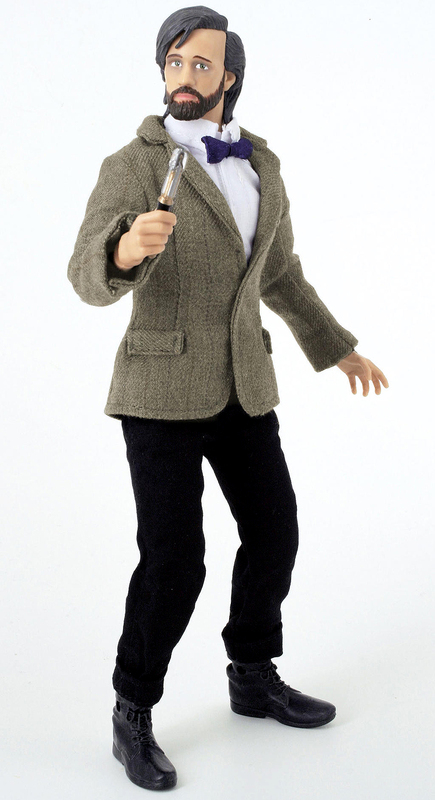 In October 2011 it was offered free at Toys R Us when you spent £50 or over on Doctor Who toys. From 2012 this figure was discounted to £8.99 at B & M Stores.